You see a map that shows territory of Belarus, of Poland. 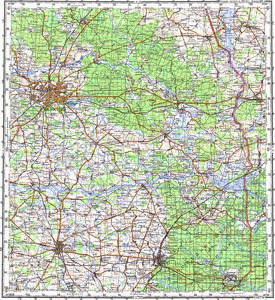 On this map city Bialystok download for free. On this map city Bielsk Podlaski download for free. You can find here city Hajnowka marked. You can find here town Czarna Bialostocka marked. town Wasilkow free download. Displayed town Grudki for Garmin. town Suprasl download for free. On this map town Michalowo free download. You can find here town Krynki free download. Displayed town Bialowieza presented. Displayed town Zabludow free download. You can find here town Narew for Garmin. You can find here town Dobrzyniewo Duze download for free. Displayed town Orla presented. Displayed Narewka presented. You can find here Turosn Koscielna free download. On this map Szudzialowo download for free.